This week’s FCPF (Free Crochet Pattern Friday) Category is: Cases – for makeup, phones, ipads, sewing, crochet hooks ,pencils, glasses & coins! These projects make great stash busters and quick gifts! Something for everyone and you even get to try new stitches and techniques (like felting)! 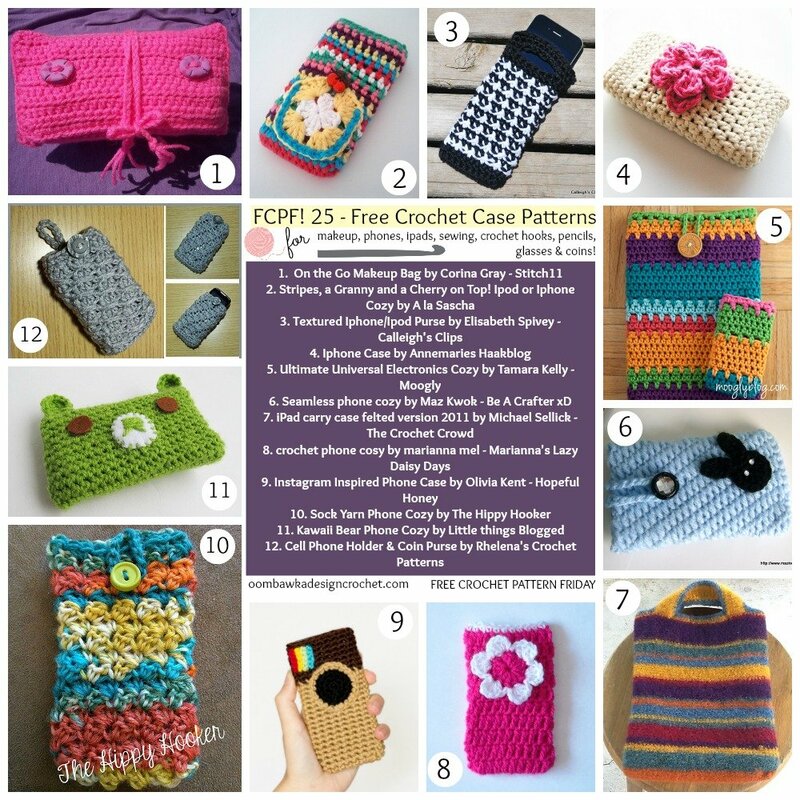 Have fun with these 25 free crochet case patterns !! Thank you so much I need to make myself a case for my Nook! Lots of kewl ideas in here. I love this collection of patterns. Items like this work up quick and they’re great sellers at craft fairs and festivals! I love all the case choices. Thank you! !